Ce document au format PDF 1.4 a été généré par Neevia docuPrinter LT / Neevia docuPrinter LT v5.3 (http://neevia.com), et a été envoyé sur fichier-pdf.fr le 26/10/2012 à 10:06, depuis l'adresse IP 41.85.x.x. La présente page de téléchargement du fichier a été vue 4356 fois. Taille du document: 4.7 Mo (69 pages). Natural 3D&quot;, &quot;Solutions for Natural 3D Environments&quot; are trademarks or registered trademarks of e-on software, inc.
are registered trademarks of Microsoft, Inc. Flash and Photoshop are registered trademarks of Adobe, Inc.
SketchUp and SketchUp Pro are registered trademarks of Google Inc.
trademarks or registered trademarks, and, as such, remain the exclusive property of their respective holders. LumenRT 3 Program ©2012 e-on software, inc. All rights reserved. 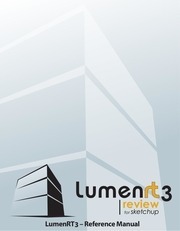 LumenRT 3 Documentation ©2012 e-on software, inc. All rights reserved. change without notice and does not represent product specification or commitment on the part of e-on software, inc. Listed below is a description of the new features and capabilities within LumenRT 3.
automatically converted into high fidelity, fully animated objects in LumenRT. vegetation library of trees, plants, and shrubs. The Digitial Nature Content pack is sold separately. Sketchup camera animation paths can now be softened to produce more pleasing, life-like motion. The amount of softening is completely user adjustable. F8 and F7 buttons respectively. just seconds using the new Screen Space Ambient Occlusion lighting model. the display quality level up (F8) and down (F7). in real-time 3D with photo-real illumination. light in fully interactive 3D! executables that can be run on any computer without requiring additional software. software making it easy to share designs and collaborate with anyone. Automated rendering output from SketchUp/SketchUp Pro. Works with the popular Architectural Solution – Sketchup. navigation/viewing process is GPU intensive. board directly impacts the frame-rate during real-time 3D play-back. LumenRT 3 Review for SketchUp requires SketchUp 7 or 8 (free or Pro version). complex your model is, the more graphic power it will require. 200MB of free Hard Disk space. The installation program, which is described below, is located on your installation DVD/download. 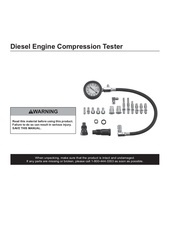 The initial start and updating the software is described separately. not, open the DVD manually. install: 32 or 64 bits. be agreed to in order to continue with the installation. LumenRT 3 will first install the required dependencies. Press Next when this completes. Enter your Name and the name of your Company (if applicable). contents of the email and copy it into the first field. not be communicated to third parties. the progress bar is visible by clicking on Cancel. must be restarted completely, as described above. You can choose to Automatically activate online. software account and activate the product there. You can choose to Activate the product manually. access to log into your account, enter your INSTcode. receive an email with an activation key file attached. frequently and is safe from accidental erasure. the Convert to Full License yellow banner. during installation of the product. You will then be able to either buy the content pack online, or activate it once you have bought it. answer to your problem in there. If not, please visit www.cornucopia3d.com/forum. paths to the LumenRT 3 renderer. the great differences in scenarios supported by LumenRT 3, this is not always possible. folder in the Documents/e-on software/LumenRT 3 folder). The LiveCube allows users to &quot;walk-around&quot; inside a 3D scene containing the high-fidelity model. LiveCubes by sending the self-running executable file via email or ftp in the same way a selfextracting zip file can be shared. LiveCube recipients simply click the file and it runs automatically. the camera motion that was setup in SketchUp. (see page 334) which will then export the model using a slower, but more reliable method. Also, the LumenRT 3 pre-processing time depends strongly on the total surface area of the model. LumenRT 3 lighting is based on real world units. unit scale (e.g. 1:1 not 1:2 or 1:4). quick overview of how to create your first LumenRT 3 LiveCube from SketchUp. generating the LiveCube should only take a couple of minutes. around the little room. In the next step, we will change the opaque blue window into a glass pane. Close the LiveCube and go back to SketchUp. surface in the pool into water. the water collection to the blue plane in the pool. LiveCube. Notice the highlights on the pool tiles. Components folder to LumenRT | Plants | Acacia1 and then place the tree next to the pool. has changed because of the change in lighting. The next section will describe the navigation and viewing features of LumenRT 3 in greater detail. to walking through a 3D video game or orbiting inside a 3D application. Navigation Tutorial button) or here: http://www.lumenrt.com/navigationtutorial. as you start walking again. and rotation changes the camera viewpoint in the scene. forward or backward to various scene snapshots using the arrow keys. walk-thru mode and start walking from where the camera is (and restore the default height). rendered using the Adjustable time of day option during export. displays each of the basic movements such as using the mouse to navigate. will appear on the extended controls help screen. More Controls button on the help screen (F1). It corresponds to the listing included below. animation is present in the exported file. pressing F8 increases display quality. Goes to the LumenRT Website. Go to the animation start/end. Left mouse down hold – walks forward. Use the right/left arrows to move sideways. Pivots the camera around horizontally. Pivots the camera around vertically. to raise and lower the height of the camera. Sky: This selects which type of Sky/Atmosphere to use. more details about each atmosphere. geo-position used in the Sketchup model. output and can take two hours or more. Start: After making your selections, hit the big Start button to begin the export and render process. simply lay on top of an infinite ground plane. cases, the quality of the result remains acceptable. be perfectly acceptable for the garden, lighting inside the building may suffer dramatically). Fast export: This option only appears on Sketchup Windows platforms. very models that exhibit crashing problems when exporting from Sketchup. folder incremented by a numbered suffix (e.g MyModel_01). the direct lighting shadows produced by the sun. on the ground where a wall obstructs the sun. neutral atmospheres which produce very faint direct shadows. used in the Sketchup model. produces very light direct shadows. Blue Sky: Bright blue clear sky with no clouds. Direct shadows are very strong. Asphalt: Parking lot material on a square pedestal. Grass: Green grass on a square pedestal. Sandy: Sand material on a square pedestal. White: Plain white material on an octagonal pedestal. Rendering time is an approximate time for a 100K face model running on a quad-core 3 GHz machine. material options. In most cases, you will not want to distribute Draft quality renders to others. on scene complexity and the power of your system. final productions, particularly for outdoor or exterior renders. scene with lots of indirect lighting and no direct light. LiveCube, inside the Scene sub-folder. The file is called LumenRT.log. replay of a predefined camera animation path. animatable which allows the creation of time-ofday renders. frame. When aggregated together, the scene tabs create a full-motion camera animation path. timing and hold frames are controlled by whatever timings are used in the SketchUp model. LumenRT option setting will generate a smoother, more natural looking animation path. animation or the current camera position of the scene if no animation is present. unzip the file on the Mac platform). LumenRT 3.exe icon to run the LiveCube. platform for the LiveCube from the drop-down box (Windows LiveCube, Mac LiveCube or both). Then, just e-email or FTP the shareable LiveCube to anyone you wish. the published LiveCube splash screen upon start. LumenRT 3 lets you capture screenshots of the LiveCube anytime simply by pressing the F6 key. The screenshots are automatically anti-aliased and saved as Jpeg files in the LiveCube folder. Screenshots are automatically numbered in sequence. delays (see above section on Animation, page 41). You can export the camera animation as a .AVI (on Windows) or .MP4V (on Mac) animation file. process may take a while. inside of SketchUp using the LumenRT 3 Material Editor. LumenRT 3 | Edit Materials. Picker to select materials from objects in the scene. Listed below describes how materials are treated and adjusted for LumenRT 3.
pulsating, water ripple effect in LumenRT 3.
color map to generate the bump. the surface while negative values will make the bump appear below the surface. appear on the surface and the size of the spots. 2. Specular Shine sets the sheen of the specular highlights. signifies a very shiny material. value of 1.6 (glass) for all reflective surfaces. that are larger than 1024 x 1024.
categories of animated content available with LumenRT 3 and LumenRT 3 Content Pack. individually, in pairs, and small groups. LumenRT 3 Content Pack (sold separately). looking backdrops without taxing performance. Ce fichier a été mis en ligne par un utilisateur du site. Identifiant unique du document: 00137733.